The Boeing 717-200 Business Express Private Jet was a business jet version of the 717 that was launched by Boeing on May 7th, 2003 at the European Business Aviation Convention & Exhibition (EBACE) 2003. It was officially called the Boeing 717 Business Express by the company. The aircraft was a new interior version for the 717-200 that could seat around 40 to 80 passengers. The only difference in the aircraft was the interior and range, as all other components remained the same as the main 717-200. The Boeing 717-200 Business Express was designed not the be a "private jet", however a corporate jet to transport company personnel. The Boeing 717 business express was designed to have meeting spaces, workstations, conference rooms and other business related functions. The aircraft was also to have broadband internet service from Boeing's Connexion service. Boeing was marketing the Boeing 717-200 private jet as a time saver and money saver for transporting employees. They claimed that companies could save time by not flying on airlines and also avoid airfare price fluctuations by using the 717-200 Business Express. Boeing also offered full support for customers of the aircraft, under the Boeing 717 Business Express Program. Training, maintenance, parts, ground support equipment, warranty and emergency support was to be provided by Boeing to customers of the jet. Boeing also upgraded the range of the Boeing 717-200 for the business jet version of the aircraft by adding additional fuel tanks. The Boeing 717 Business Express range was 3,140 nautical miles or 5,815 kilometers, when flying with 60 passengers. This was over 500 nautical miles greater then the High Gross Weight version of the 717. Boeing marketed the 717 Business Express aircraft along side the Boeing Business Jet (BBJ), which is a business jet version of the 737. According to the order record of the aircraft, it looks like no one ever ordered the Boeing 717 Business Jet. 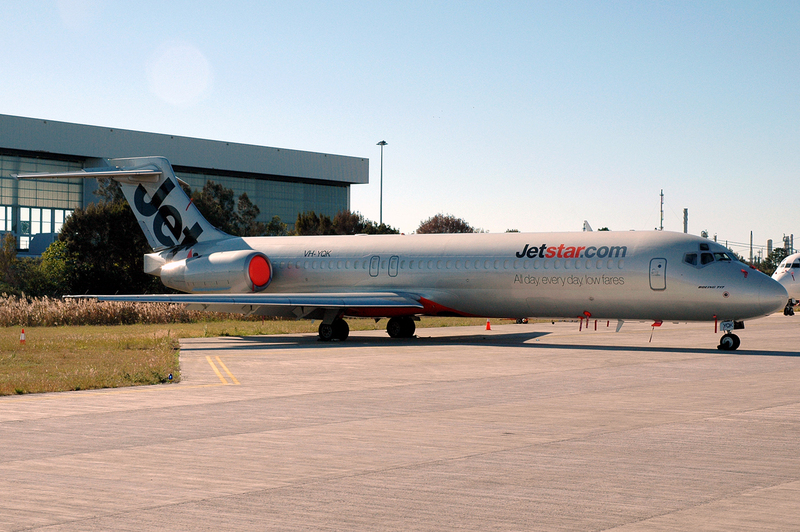 Production ended for the 717-200 in 2006 and no company ever ordered the business version of the aircraft from Boeing. Even though the Boeing 717 Business Express never flew, any Boeing 717-200 flying today can be converted into a private jet. The only thing that needs to be modified in a commercial 717 is the interior. Optionally extra fuel tanks can be added. Many commercial aircraft under go conversions to business jet interiors and the Boeing 717 is capable of this conversion. An aircraft maintenance company and possibly even Boeing can help with this conversion. One day we may see a Boeing 717-200 private jet, if someone decides to convert a commercial 717-200. Above Boeing 717-200 Jetstar photo by Robert Frola on Wikimedia Commons. Photo (only) released under the GNU Free Documentation License, Version 1.2. Boeing B-717-200 Business Express Private Jet: the "B-717" or "B-717-200" name is used by many, including the FAA, to refer to the aircraft. Boeing B712 Business Express Private Jet: B712 is the ICAO code for the airplane that is used by air traffic controllers, airlines and others. Boeing 717 Business Express Private Jet (with out the -200): Many call the 717-200 just the 717, which is the main aircraft program the jet is in (the only plane in the 717 program). "717" is also the IATA code for the jet. Boeing's KC-135 tanker was the first aircraft that was called the 717 by Boeing, so Boeing gave the 717 jet the 717-200 model name.